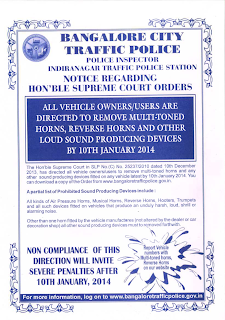 Bangalore : Regulatory Notice on HORNS ! 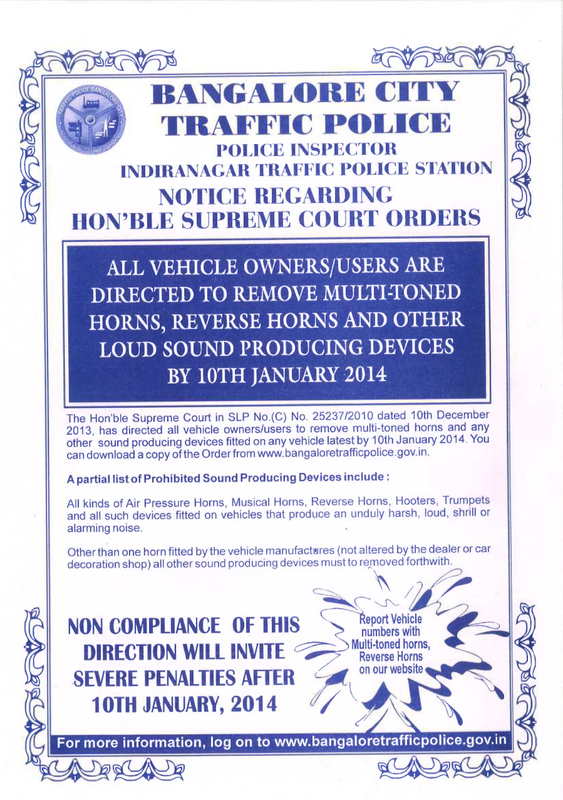 Though we all know horns used on motorcycles (and cars) other than the OEM supplied ones are not authorized by Indian RTO. However as sometimes the traffic cops choose to ignore such things until now, many of us (not me!) still use air horns and other such loud varieties. If you are one of them, please go through the below notice and I hope it helps you to decide in moving to a standard horn system soon. Break the Rules, Not the Law! PS: I have checked the site http://www.bangaloretrafficpolice.gov.in and the above notice is yet to be made visible. 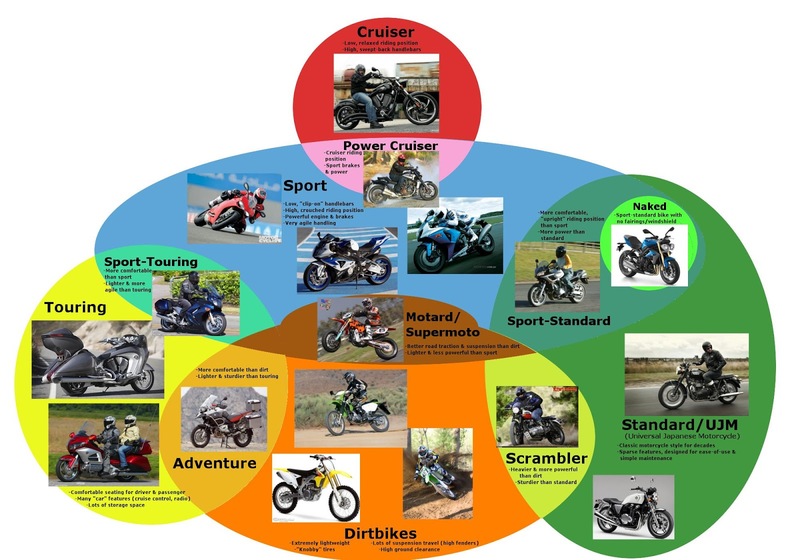 However it must not stop you from being aware and taking preventive measures to be a safe and lawful rider. Tank was full, as I fill it just yesterday. So nope. Possible Reason#2: Bad fuel/water or any other thing in fuel. I fill in Shell, one of the most trusted places for fuel in Bangalore. Secondly there hasn't been any rain recently for water to go in. So this possibility ruled out. 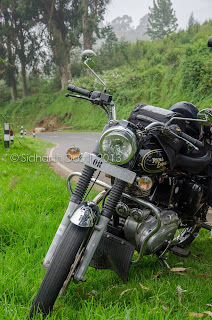 Observation#2: When the bike started stuttering, I tried revving the engine hoping if any water or debris gone in, should burn n go out of the engine. But it didn't help. Rather I noticed some black smoke with each rev. Possible Reason#1: Fuel is not burning completely, means improper combustion. Bad spark could be one of the reasons. There should have been a file or sand paper to clean it properly, but I had to do away with the carbon deposits using the sharper edge of the screw driver. It just worked. 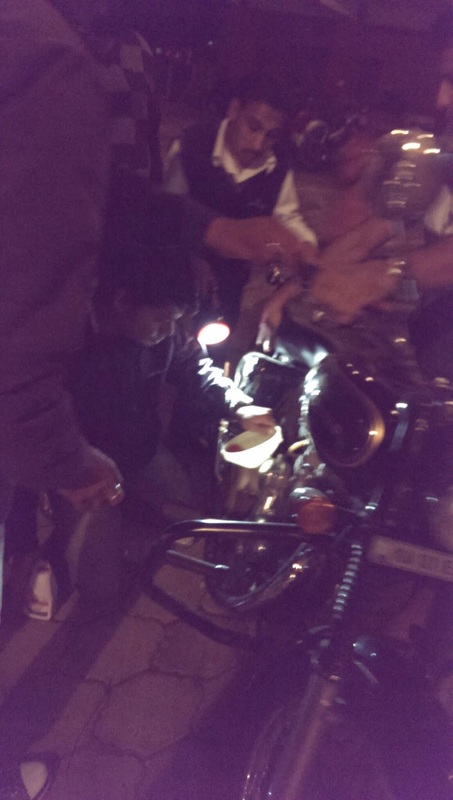 Though I was late for work n bunch of curious people keenly observing me getting my hands greasy wearing clean pair of formals on the side of the road, but all I was focused on was to fix the bike and roll. Which I did:) In no time I was cruising on my usual route to work. Had it not been the carbon coated spark plug behind the issue, next reason for improper combustion could be low air intake. 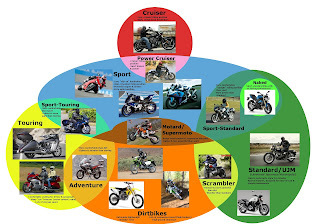 The intention behind sharing this post is to make you understand that, the solution or fixing the bike may not be all that challenging (in common breakdown scenarios like this one! ), rather the troubleshooting is what makes the difference. So we must try and get the first part right. Btw I made a note of the items missing in my tool kit and will make sure they are in place before my next ride. 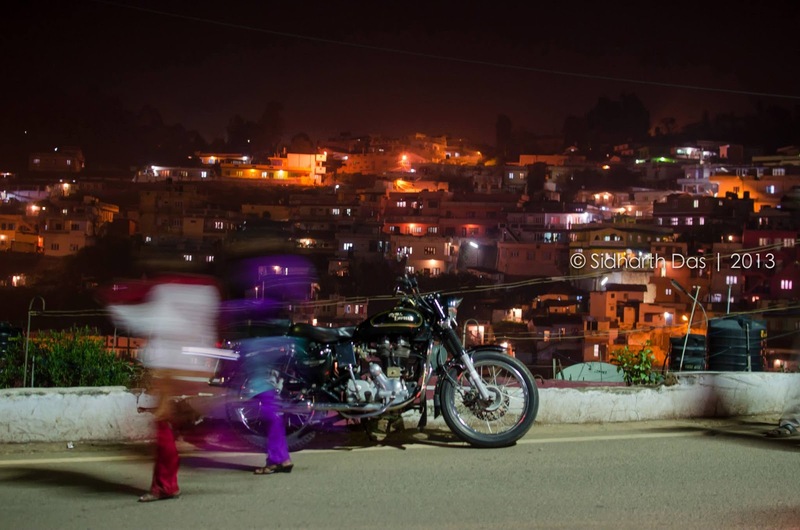 This post is my belated Diwali Wish to all Bikers and Motorcycle Enthusiasts in India (and abroad who celebrate this festival). Hope you had a great time during the festival of lights. Coming to my way of celebration, am more of a peaceful Diwali celebration supporter and have been celebrating the anti-cracker way ever since I could remember. Now seeing the heading of this post, you might be wondering why the change this year. Well this Diwali was a bit different. I did celebrated it with lights and "crackers" for a change and was on a roll as I did that:) Read on to know how..
Having four days off in a row gets every working person a bit restless, for the obvious reasons. 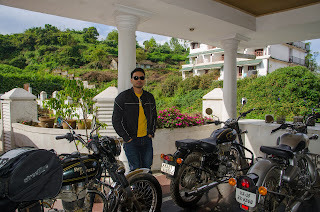 To travel, meet friends, read a book been kept aside for sometime or to simply relax. Having time to yourself is not anymore a thing you can take for granted, especially if you are in tech field. At this point only a day was left and we had our office chores to take care of along with the ride preparation. Somehow I managed to give my bike for a pre-ride checkup and was hoping to keep the expense down. The recent troubles I had had with my bull was the spark plug getting full of carbon to the point, the bike refused to start. This happened twice, where in second time it was predictable enough for me to stop by a mech shop and got the plug cleaned. I am still not sure what caused it. Whether it was water somehow finding its way into the fuel tank or a rich mixture by carb, causing incomplete burning during combustion process leaving some residue. 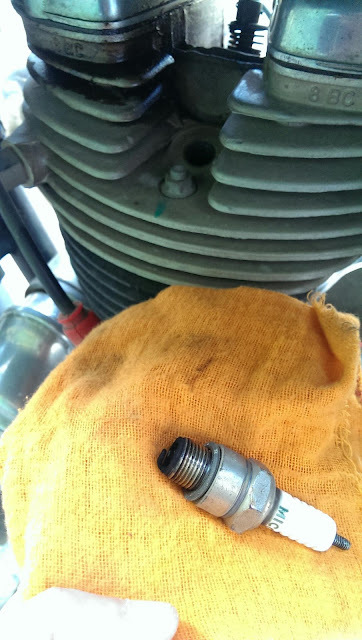 It happened twice and each time I just cleaned the spark plug which got me going again, but until the root cause is being found out, there will always be a feeling of dangling uncertainty. Anyway, I had to live with it now, as time left was very less to investigate on this. 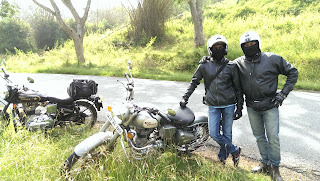 My last ride to Ooty with my cousin was an awesome experience overall and there was one area of improvement identified. The luggage. The (false) leather bags and backpack combo ain't really that interesting or convenient. So I knew I have to pick a saddle bag asap. Btw I had ordered and waiting for a 'Longranger Pro' for months now and the product is not worth missing a ride for. So I called up Cramster and placed an order immediately for a pair of saddle bags (and picked it up later that day). After some discussion over few phone calls we decided to start by Friday morning at 4AM and my house would be the meet up point. I finished office a bit late and headed home to do the packing. 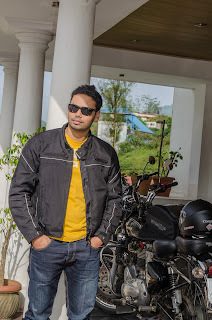 I am being a solo rider at heart, always ensure that am self sufficient and don't have to rely on others for anything. Add to it I have been riding long enough to estimate the essentials expected. 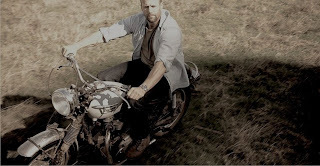 Riding an old Bullet makes you friends with your tools and I am no exception. 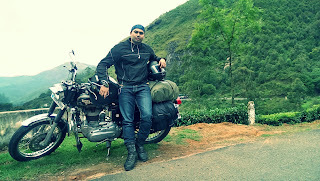 I buzzed Gopal (who also rides a Bullet with CI Engine) not to carry the same spares (Tube, Cables for Clutch and Throttle), first-aid kit and bullet tools which am carrying. As its highly unlikely that we both would need the same spares on this ride. So his luggage reduced drastically, which mostly comprised of personal use stuff. None of us could have a good sleep the night before the ride, as most of the time spent (by me at least) packing and partly due to the excitement of the event kept us awake. This is not a safe thing to do. 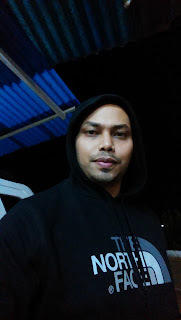 Got up in the morning by 3AM had a call with Gopal to check his status and plan was on track. No camera crew were covering this ride. This shot is taken with the self timer on Ayaz's cam. 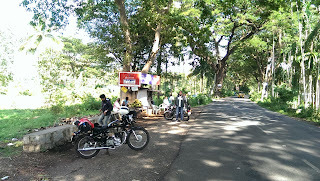 We reached Ooty around noon. Without spending much time there, we enquired our way towards Coonoor. Which was around 20 km from Ooty. The roads were narrow and we were a bit tired by this time, as we has skipped our breakfast as well as last nights sleep. After roaming a bit in Coonoor we finally found a hotel which was located off the market area and was quite peaceful for relaxing. This was exactly what we needed. Once the room was booked we shifted all the luggage off the bike straight to our room. Had a brunch at the restro and then slept like logs till evening. Night time we walked around the town, had some tea at a stall. Bought some engine oil for backup. Then headed back to hotel for dinner. 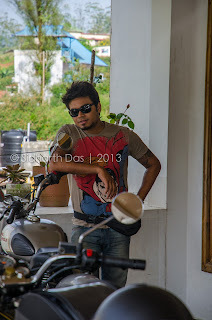 While roaming around in Coonoor. My eyes are a tell tale in this pic. Tiredness is so evident. We did a top-up of engine oil on Gopal's bike. Didn't had a funnel, so around 5-6 staff of the hotel jumped in to help (more so to see the activity and the bike). Finally someone got us a funnel which made the task easy. Due to yesterday's fatigue (add to it the lack of sleep and breakfast) we had learned our lesson and this time we had to enjoy our breakfast thoroughly before even touching our bikes. So we headed to the restaurant inside the hotel and belted on the breakfast buffet. And I think we took our own sweet time here:P We didn't feel like moving until the clock showed 10:00am. It means a lot to loose daylight and this got us going again. 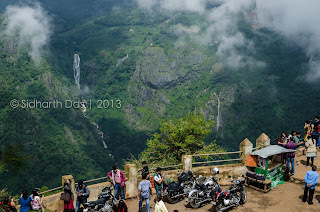 We decided to checkout two view points in Coonoor before leaving the town. One was 'Lamb's Rock' 8 km away and another one was 'Dolphin's nose', which was another 7km from there. So we got back to our room and got ready. 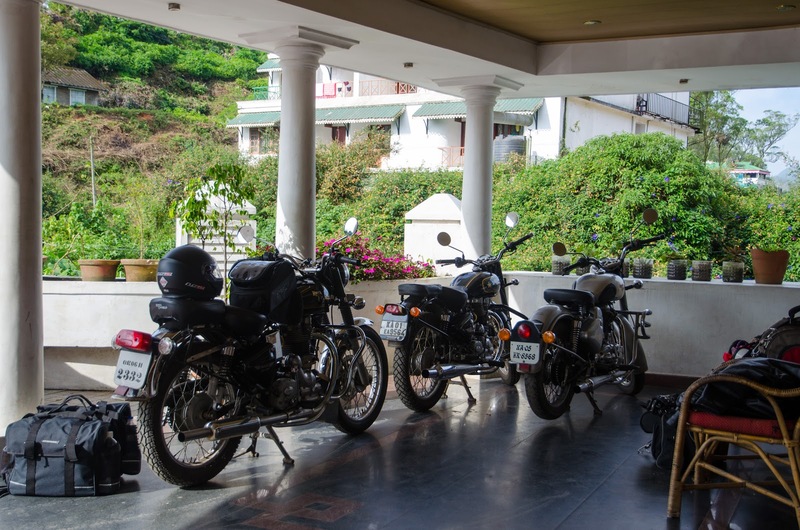 Bikes are loaded for the day's ride. 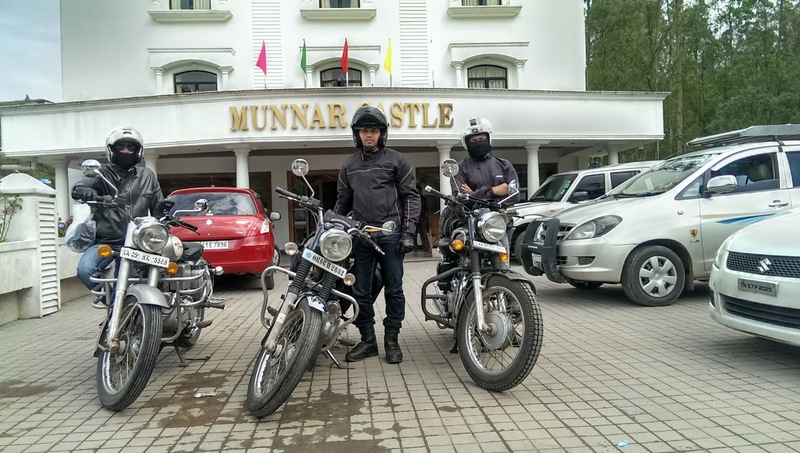 Riders posing along with their steeds. When we reached 'Lamb's Rock' (some places its written as Lamp's Rock as well), there was lot of mist and we didn't see a reason to stop their and wait. So we continued ridding towards 'Dolphin's Nose'. And man what a view it turned out to be. Check here for yourself...Absolutely magical. 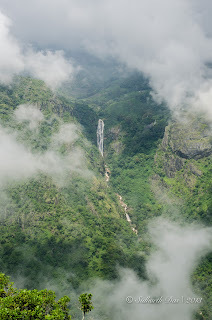 Ayaz had an assumption that Valparai is connected to Uddumalapetai. 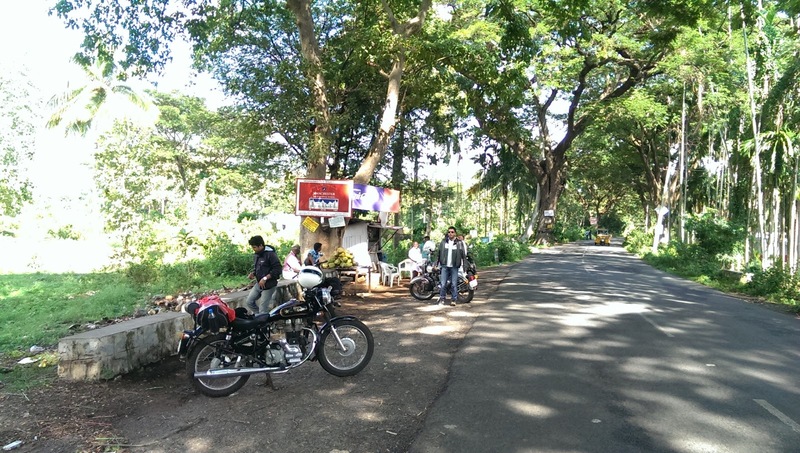 But after reaching this place and enquiring from the local, we got to know, only route to Valaparai was via Polachi and hence we need to ride back to Polachi. This would be a sheer waste of time. So we took a call here and decided to head to Munnar and visit Valparai the next day may be. 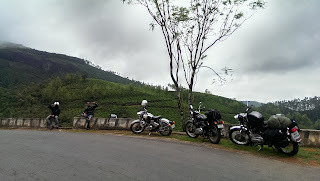 So we continued towards Munnar. And Man!!! as the daylight faded we realised we are on an endless journey through miles of narrow forest road. 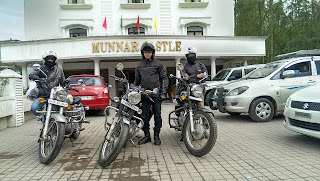 Now as I see the map I could see we rode through the following forest areas: Anamali Reserve Forest, Amaravathi Reserve Forest and Chinnar Wildlife Sanctuary. 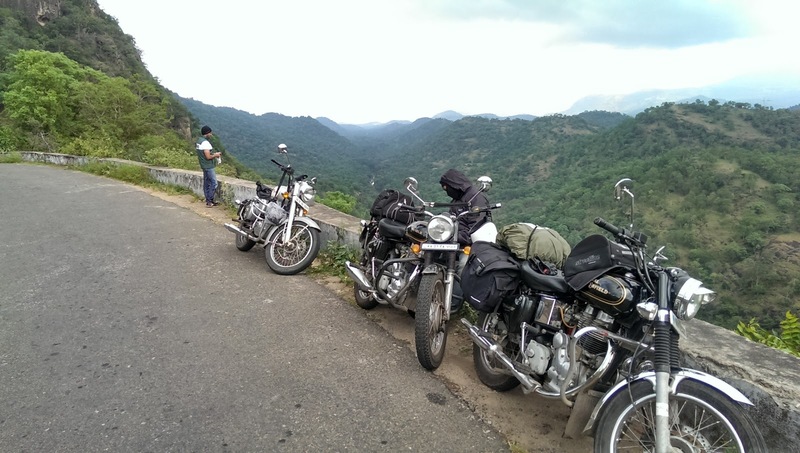 Other than the bright lights of our bikes and thunder sound of our silencers cruising on those curvy forest roads, there was nothing on that route that was giving us any sense of civilisation being around. Once in every 40 minutes or so a bus used to appear from the opposite direction, which we had to slow down to give way to. 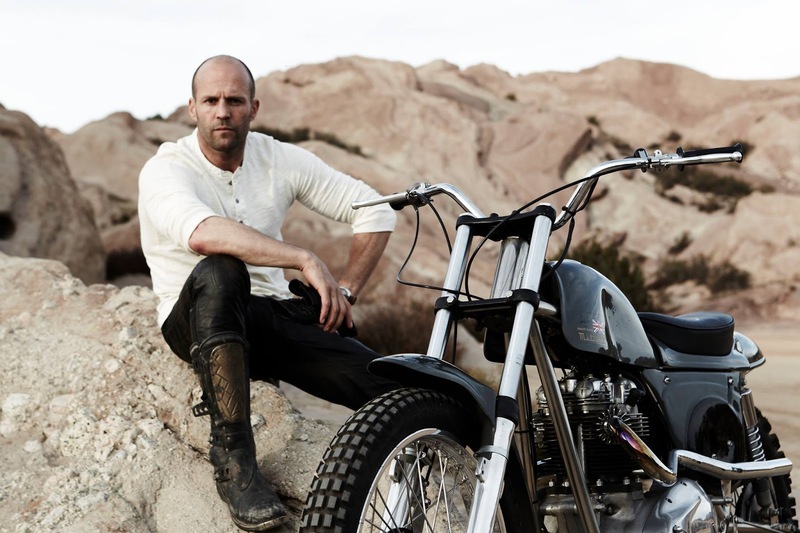 Then again there is the eternal nothingness and the bikes. What a ride!!! Loved it, as if we were in a trance. After riding for hours we came across a shop and some people around. Realised that the country is celebrating Diwali at this moment and so were we:) *Lights* couldn't be better than our headlights shinning the brightest they possibly could in the darkest forest road and *Crackers* never sounded so good as they did when our silencers were roaring thunderously as we were climbing uphill:) There you go 'Diwali at it's Best!'. After riding for miles through the forest area, we reached the base of Munnar. We badly needed a break by this point and definitely some coffee. We were lucky enough to find a small stall with some confectioneries and biscuits and most importantly tea. There was this family from Kerala, who were bursting some crackers on the road. Gopal is watching eagerly. After the break (+ some tea + chocolates + biscuits + don't remember what ) we checked that it was still 45 km to reach Munnar (top of the hill). 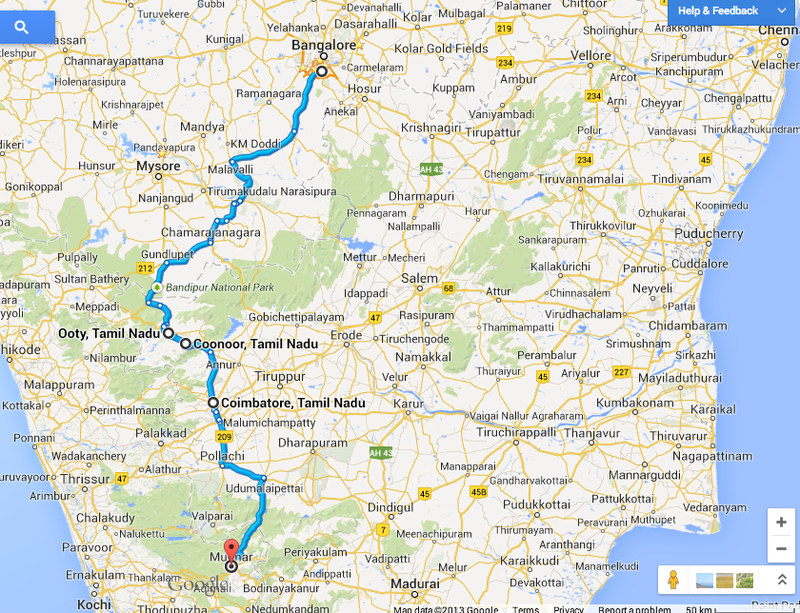 45km of climb is not small distance, that too on ghat sections. But by this time, we had lost the anxiety to keep track of time. So all we decided to do is, RIDE! So we rode. After couple of bends we were abruptly stopped by a Marshall and a bunch of people. This was a bit unsettling as we had no clue what they were talking about, as none of us understands Malayalam. 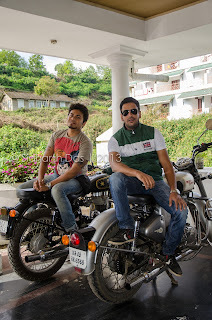 First we though the guy was asking for lift, so we responded telling we don't have space for a pillion rider. That didn't convince them it seems and they continued talking and pointing ahead of the road. Before we could get completely disinterested in what they were saying, one of them said 'Elephant'. Well....you got our attention now and the crazy behaviour of the bunch of people, the vehicle stopped on the middle of the way, everything started to make sense. We paused on our ways and had a quick chat among ourselves, on what to do. To move (we ain't that old to be scared at this situation) or to stop (we have enough responsibilities on our shoulder not to take a chance on life). We decided to move slowly until we see someone coming from the other side. So we slowly continued moving, despite these guys' warning. We met a biker coming from the opposite direction and he spoke in English. He told us there is a wild elephant on the road and insisted not to go that side, it will be dangerous. Better wait for sometime and if any bigger vehicle comes, follow them. We were now sure that we must see that elephant and just to be on safer side we would stay on high alert. Also had a back up plan ready in case we encounter the elephant in a bad mood (i.e. to Honk together to scare it off:p Trust me it sounds silly now thinking about this plan, if we really had to rely on this. Definitely I won't be here writing this blog for sure. Lol). As the road had a curve every 10 feet, we used to move a bit and before entering the turn put the headlights on high beam and scan both side of the road. We continued in this manner until we finally saw the big guy. This was one of a kind experience for all of us. Initially I thought its fun to see one, but sooner realised its more serious than I assumed in my first thought. As locals are familiar with them and still they were scared, as they clearly know that if a wild elephant gets angry, then there is no escape. 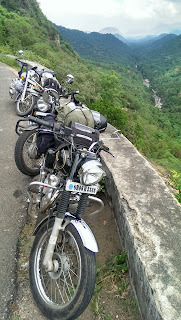 Especially when you are standing on a mountain(/ghat section of a) road, certainly there is no escape. Unless you are too lucky to ride off, it's either him (the elephant) or the cliff. 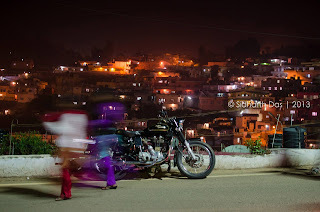 So we followed the instruction from the locals and switched off our headlights and engines, so that the animal looses interest on the road (as well as the vehicles) and moves away from the road. This trick worked out. He moved a little bit towards the side of the road and started playing with the light glowing on the building nearby. After gathering some courage we slowly and quietly (Mind you, with Bullets its difficult to be quite!) rode past it when it was busy looking away from the road. Hell it was fun!! That big stone kinda thing on the bridge is an elephant. Passing the elephant helped us got rid of all fatigue of riding all day long. We were now kinda alert like african meerkats :D This alertness lasted for a while and then we met with our next challenge. The MIST. Gosh, it was so dense that we could barely see a foot ahead. Ayaz tried to lead but with the halogen headlights not able to make it through asked me to lead. My bull has a HID and you would know it once you see it;) I started leading the way but with no more advantage than another feet of visibility. So I tried my best to keep the bike on the middle of the rode and avoid going to the edge at any cost. 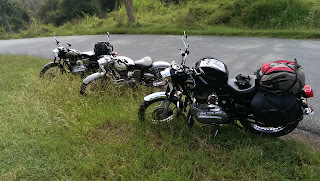 Other two bikes followed my trail without any errors. 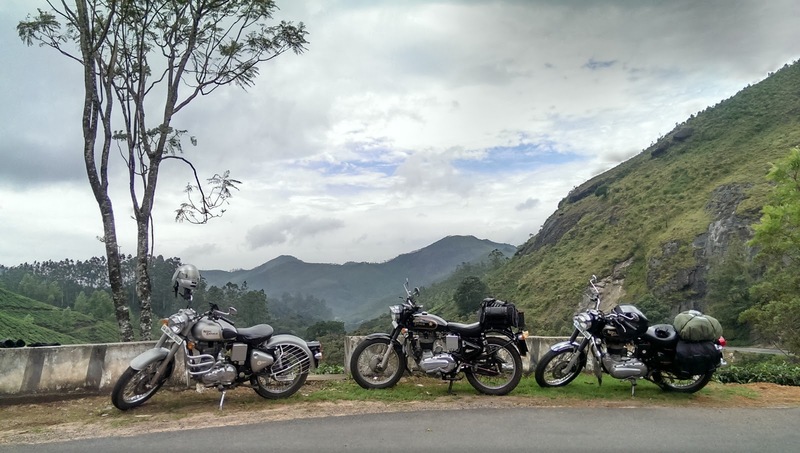 Lesson Learnt: DO NOT RIDE/DRIVE TO MOUNTAINS IN MIST CONDITION! 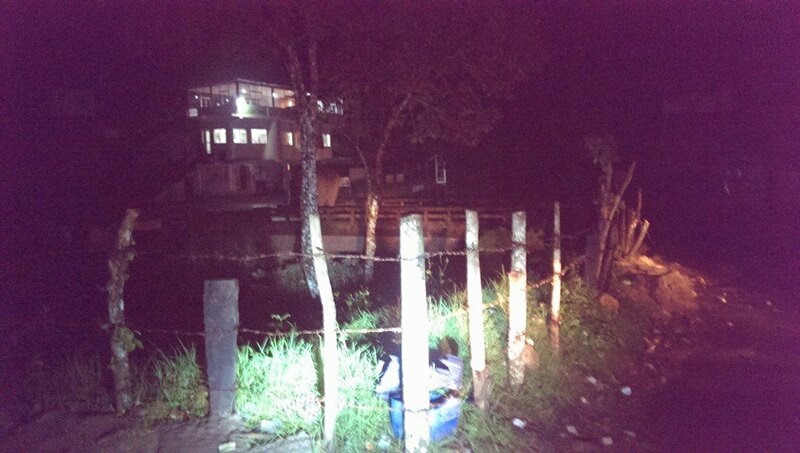 With this blind folded riding somehow we reached Munnar around 9:45PM. Much to our surprise the shops near the entrance to the city were closed except one bakery. Upon enquiring with the shop keeper, we got to know that the city closes at 9PM on usual days and add to it the fact that today is Diwali. Anyway, we didn't waste much time there, and being on safer side we shopped for few food items from the bakery for dinner, in case we don't find any restaurant (we were right about this part too:P). finding a place to crash? :D Bingo!!! Finding 'that' place took us an hour and a bunch of drunk agents, who promised to get us home-stays at variety of prices. Finally Gopal didn't give up trying with the hotels and got us a big room for 2000 odd (which was for 2500) bucks. Posh (thats how I would call it) parking for our steeds and super comfy bed for the riders and hot water facility. What more we could ask for?!! We had the snacks we bought, watched a bit of tv (don't even ask me about it, I had no clue what was going on, it was just fun to change channels:P) and finally dozed off. 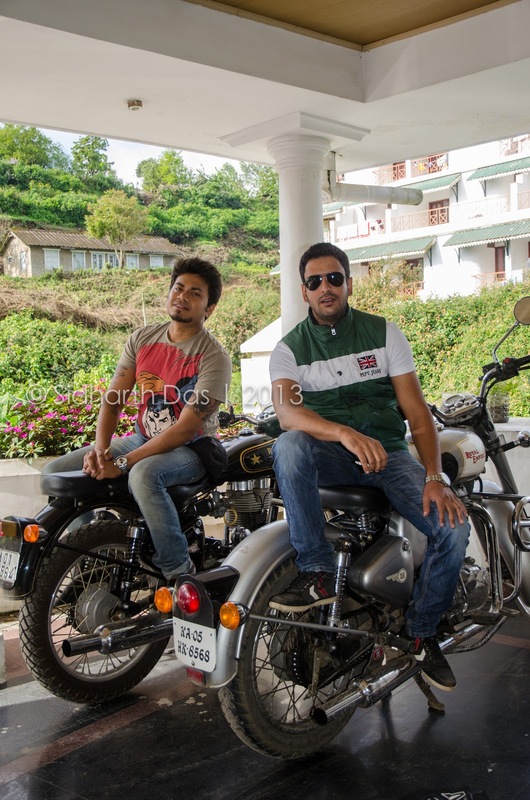 Relaxing after a decent breakfast..
Guys posing with their bikes..
All Geared up! 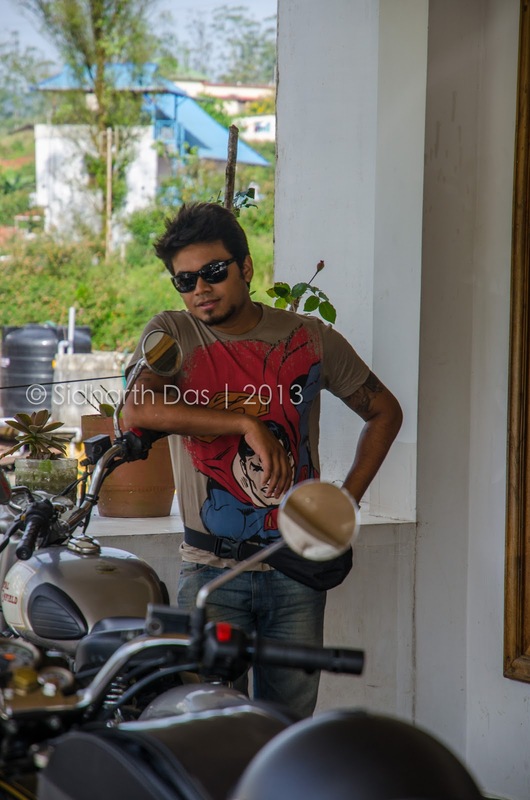 Saying adieu to Munnar..
At the base of Munnar, me and Gopal were running on reserve by this time. We moved on to find a fuel bunk few kms ahead.. 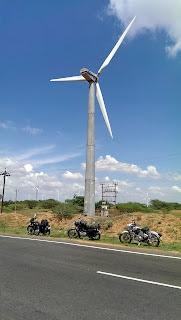 The tyre on classic 350 gave up just before reaching Hosur. The wall of the tyre collapsed (as seen in the picture). Luckily it stopped after a bit of fishtailing. After looking for a tyre near and around the toll booth after Krishnagiri, we got an used tyre of Yamaha YBX (I guess), which matched the wheel size. 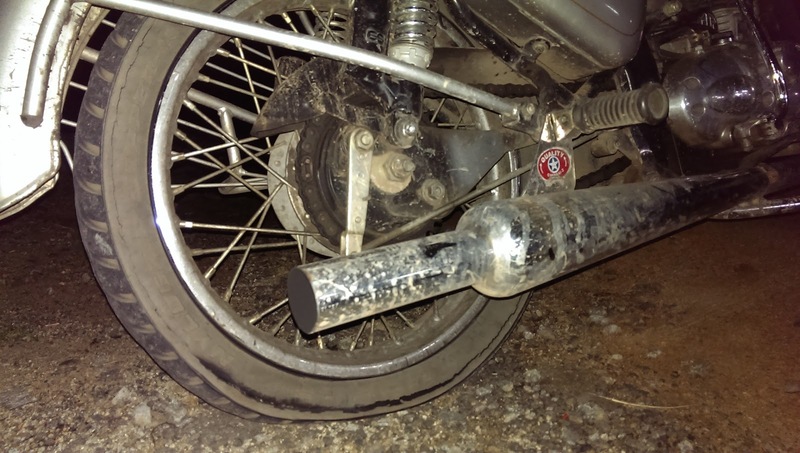 So we bought a new tube got this tyre fitted. 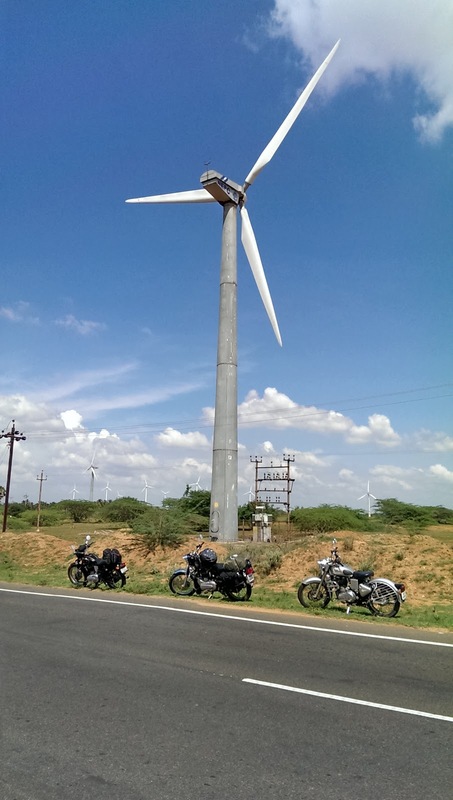 This got us till Bangalore, albeit at a slow speed of 40kph. Just like any ride this ride too had its high and low moments, achievements and breakdowns. After all that's what makes them so special. Hope you enjoyed reading through all this text, which am sure are at times might not make any sense to you. I wrote it as it came to my mind and am confident that it may not undergo a proofreading anytime soon. This blog has mostly been like my personal diary and I make note of my experiences to come back to. This posts fulfils the same intentions. 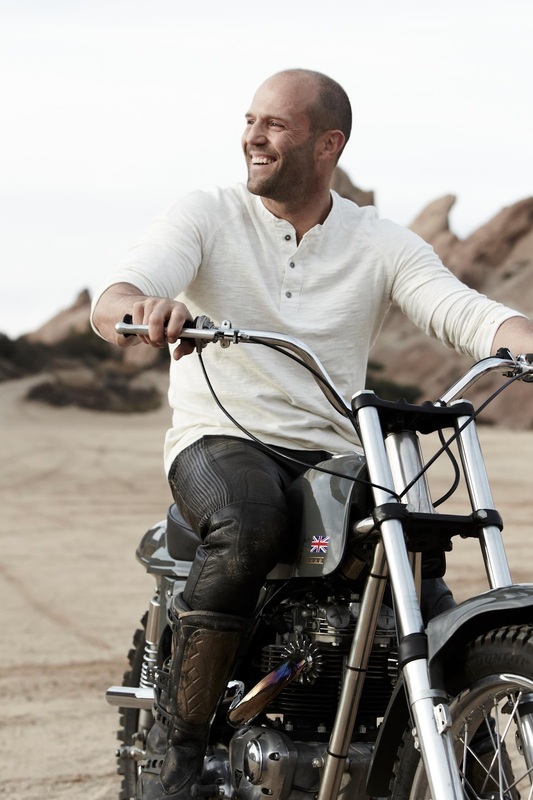 Hope it inspires you to take up those journeys you have been pushing aside for a while. 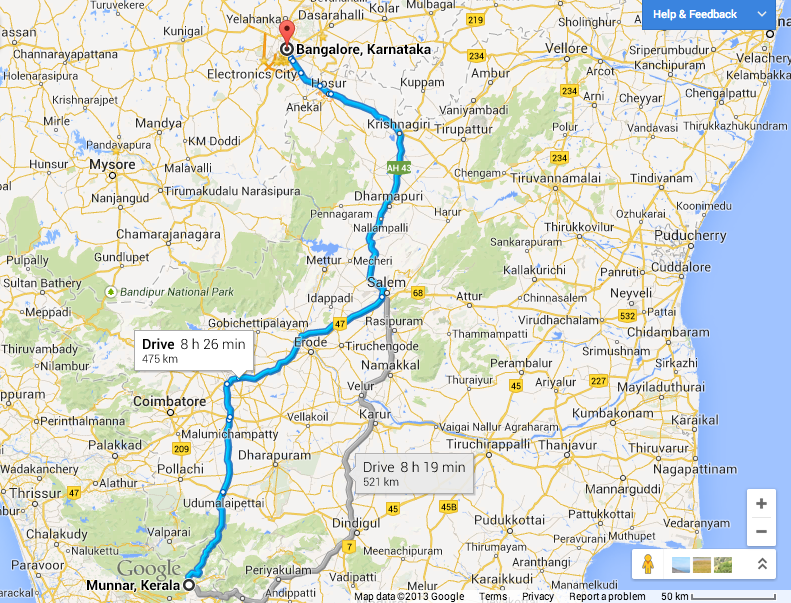 On the way down from Munnar..
Bangalore - Mysore : 135km : SH17 : Road condition is good. Keep an eye on fast cars/cabs. 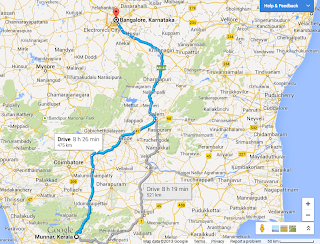 No need to enter the Mysore city, instead take the bypass road. We took right turn from the first Signal which comes as the entrance to the city. Ooty to Coonoor is just 20kms, so we asked our way there. Coonoor is relatively a smaller city and may not have much to offer, from a tourism point of view. But if you go with less expectations, the view and the location would definitely entice you into enjoying the valley. 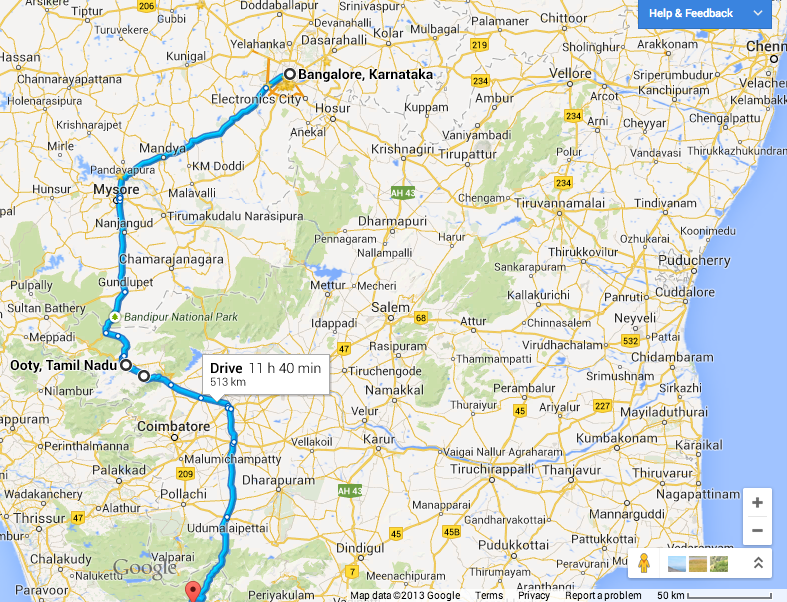 We didn't track the distance during this ride, but our odo roughly indicated around 1100km:) Not bad, not bad at all..